Alexa-to-Alexa calling and messaging helps you keep in touch with friends and family who also have supported Echo devices or the Alexa app. This free feature provides calling and messaging between supported Echo devices and the Alexa app on compatible iOS (8.0 or higher) and Android (4.4 or higher) phones. This feature is available to Alexa customers in the United States. All you need to sign up is an Amazon account, the Alexa app (installed on a compatible iOS or Android phone), and a cell phone number. You can use this feature with: Echo, Echo Dot, Echo Dot (2nd Generation), Alexa app (installed on a compatible iOS or Android phone). What does this tell us? If you are outside of the United States, you don’t have these features yet. You must have the Alexa app on a smartphone running a recent version of iOS or Android. Voicebot has confirmed that a tablet without a smartphone number used to set up your Amazon Echo will not work with this feature. How Do You Make and Receive Calls Using Amazon Echo? Making a call with an Echo device: Calling on Alexa is as intuitive as you would expect. Just say, “Alexa, call [name of person].” If that person is in your Alexa app contacts, then Alexa will confirm the name of the person you are looking to call and after you say, “Yes,” the call will start. The contact’s Alexa devices and mobile device will both receive the incoming call from you. If there is no answer after a period of time, Alexa will indicate that your contact was not able to be reached. Receiving a call with an Echo device: When a call is coming into your Alexa-enabled device such as an Echo, the ring on the top of the device will circulate as a green color. 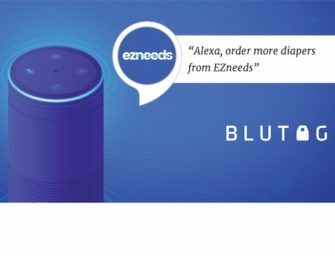 This may surprise you initially as the normal ring color for an Echo device is blue. The circulating green light indicates that a call is incoming. This is different from a slowly flashing green light which indicates a message has come in from the Alexa messaging app (more on that below). An incoming call is accompanied by an audible message from Alexa saying some form or “[Person calling] would like to talk,” or “It’s [Person calling].” To receive the call, simply say, “Alexa, answer.” You will then hear a short tone that indicates the call has connected. You will hear a slightly different but similar tone when the call is ended. Rejecting a call from an Echo device: When the call comes in, you may not want to speak with the person or it may be an inconvenient time. Simply say, “Alexa, ignore,” to reject the call. How Do You Make Calls Using the Amazon Alexa App? Making a call with the Alexa app: You may not know it, but you can also call Echo owners in your contacts directly from the Alexa app in your smartphone. Simply touch the conversations icon (it looks like a messaging bubble) in the bottom tray of your Alexa app home screen. You can then touch the contacts icon (looks like a person outline) on the top right of the conversations screen (I suspect this user flow will improve with a future release of the Alexa app). This will bring up your list of Alexa contacts. When you select a contact you have two choices under their name, a messaging bubble icon and a phone icon. To make a call, just click the phone icon. How Do You Send a Message From an Echo Device? Sending a message from your Echo: You can also send messages to the contacts in your Alexa app from the Echo. You simply say, “Alexa, send a message to [Person].” Alexa will then confirm the name of the person you want to message and ask you to say the message. Alexa will then say she is sending it once she believes you message is complete. This works well for short messages where you know what you plan to say. However, if you pause while you are thinking about what to say, Alexa may believe your message is complete and send a partial message. This will happen. If you don’t say anything, Alexa will ask you again to say the message. She will ask that twice and if you don’t respond she will end the session and not send the message. After you ask for a message to be sent you can say, “Cancel” or “Never mind” or similar phrases to cancel the message. Keep that in mind if one of these words is your intended message. You will need to use some more words for it to be accepted. Also, keep in mind that unintelligible speech or background noise can also be interpreted by Alexa as the intended message. However, it appears that only noise in the human vocal range will be accepted for messages. When I attempted to send some music as a message, Alexa ended the session without sending it. Sending a message with the Alexa app: Similar to making a call from the Alexa app, you can also send a message. Again, touch the conversations icon in the bottom tray of your Alexa app home screen. You then touch the contacts icon on the top right of the conversations screen. This brings up your Alexa contacts and after you select one, you just touch the messaging bubble icon under the contact’s name. You then have two options. Record a voice message to send: You can press and hold the microphone button at the bottom of the screen to record a voice message. When you are done recording, simply let go of the microphone button and the message will be sent to the user. Alexa will also transcribe your speech-to-text and display the message on your screen. This is a really useful feature. It means the person can receive your message as a voice message or see it as transcribed to text. It also means you can see if there is a transcription error that may be misunderstood by the person you are sending to if they read instead of listen to the message. WARNING. What you cannot do is delete a sent message. Keep that in mind. Send a text message: Everyone with a mobile device should recognize this communication format. There is a small keyboard icon in the lower right of the screen. Tap the icon and a keyboard will come up so you can type message to the contact. Receive voice and text messages: You have two options to listen to your voice message. The first is to listen to the message through your Echo device. When you have a message, the Echo ring will slowly flash a solid green. Just say, “Alexa, listen to my messages.” Alexa will tell you who you have messages from and ask if you want to hear them. After you confirm (i.e. say Yes, Totally, Absolutely or any other common confirmation), Alexa will play voice recorded messages or will read the text messages to you. When you are done, the green messages notification light will no longer be flashing. Your second option is to listen or view your messages through the Alexa app. When you touch the conversations icon in the tray at the bottom of the home screen you will start on the conversations screen. Your incoming messages will be listed. When you touch the conversation thread, you will can read the text message, read the transcription of a voice message or touch the play button next to the voice message and hear the recording. When you view or listen to your messages through the Alexa app, the green messaging light will stop flashing on your Echo devices. Delete messages in Alexa App: You can also delete messages in your Echo app, but be forewarned that it will delete the entire thread with that person. There does not appear to be a way to delete some received messages from a person and retain others. To remove message conversations in the Alexa app: select the conversations icon and locate the conversation you want to remove. For iOS: swipe the conversation and select the “remove” option. For Android: press and hold the conversation and select the “remove” option. One thing that may surprise you is that calling from your Echo will ring both the Alexa device and the person’s mobile phone. The recipient can answer on either device and the solution works equally well. I discovered this feature by accident when calling a friend. His Echo Dot was next to him and indicated a call was coming in, but he answered on his phone and we had a lengthy conversation. I called him again and he answered through his Echo Dot. This means that Alexa calling isn’t place-to-place calling. It is place-to-person or app-to-person. The idea is that you would like to reach someone and don’t care if he is near his Echo as long as you can connect on some device. It may be obvious, but in case it is not I will clarify that a normal call from your mobile phone to a person doesn’t call an Echo of that contact. You must call using either your Echo or your Alexa app to reach another person through an Echo. Enable DND on Your Amazon Echo? The other feature that you may not know about for Alexa calling is that you can set the devices on do-not-disturb. You should open your app right now and make these adjustments unless you want to be awoken in the middle of the night by a friend testing out the call features. Go into Settings in your Alexa app and click on the device. You have two options. You can set the device to “Do Not Disturb” which means no calls will be received by the device. Or, you can schedule “Do Not Disturb” for specific hours of the day. Amazon to Add Call Permissions? Alexa calling does have one significant feature gap that is getting a lot of attentions. Anyone in your contacts that has an Alexa device can call you once they enable the calling feature. This may make it hard to avoid people calling you on your Echo if you need to maintain their contact information. Many people have written about this and CNET has a good guide on how to shut off the solution by calling Amazon and disabling Alexa calling altogether. Yes, you must actually call Amazon to get the service switched off. It is not a simple process so I recommend you review the tips from CNET’s Rich Brown. However, this seems like a blunt instrument. If you want to keep someone from calling you, must you really dis-enable the entire feature entirely and prevent yourself from using it with others? No. There is a simpler way. You can remove that person from your contacts. I tried this. I removed someone I barely know from my contacts and then restarted my Alexa app and he was no longer in my list. This may be inconvenient if you need to maintain someone’s contact details but don’t want them calling you, but it may be the best option until Amazon provides calling permissions features. Update your Amazon Alexa App to Get Started? Of course, to have any of these features you must first update your Amazon Alexa app through the App Store or Google Play. The set-up is simple and takes about a minute. You will notice that the final step involves granting permission to the Alexa app to upload your phone contacts. The app then matches your contacts with people who have Alexa calling enabled so you immediately see a list of people you can call through your Echo or Alexa app. Bear in mind that you may or may not want these people calling you on your Echo device and that is why the calling permissions will be an important feature for Amazon to add soon. It is a big miss that calling wasn’t launched with this user control, but you can see that Amazon is moving fast and wanted to have the feature live before Microsoft Build as I mentioned in Friday’s post (Amazon Alexa Calling and Messaging is a Great Feature That Puts Rivals on the Defensive). Call permissions – Alexa should enable call blocking, but the better approach is to enable call permissions. The Alexa app should show us which of our contacts has an Echo and then if we both grant permission for Alexa calling, then the feature is enabled through our devices. More household users – Alexa today only enables two household user accounts for devices registered to a single person. That number should be extended to include more household members. Today you can have more than two household members with devices, but then the devices must be registered to different accounts. That may not seem like a big deal until you understand how spatial perception works. Spatial perception is the feature that ensures only the closest Alexa enabled device responds to queries. If you have devices on different accounts, spatial perception will not stop multiple devices from responding (see video demo). We could also enable multiple devices to join a single household. That would be an even better solution so people could have personal devices, but they would be assigned to a common location and spatial perception enabled. Account and messaging privacy – Today anyone in speaking range of an Echo can ask to hear someone’s messages. For multi-users households that is a bad idea. A call might be answerable by anyone in the room, but messages should not be accessible by anyone. This is where Google has a lead on Amazon. Google introduced multi-user support in April that recognizes individuals by voice. That means when a user asks for her calendar, Google Home knows who is speaking and can provide that same individualized service to everyone in the household. This same feature can be used to ensure message privacy. Amazon is apparently working on distinguishing users by voice according to news accounts in February. This feature should be implemented soon or the Alexa app should enable users to set a PIN code in order to access messages. Disable Alexa calling from within the app – It doesn’t make much sense that you can enable Alexa calling from within the app, but cannot disable it. Having to call Amazon to disable the service seems like more effort than a user should be required to expend. Amazon should give users control. The reason why Microsoft spoke often of Skype support for the forthcoming Cortana devices is that calling and messaging features are a natural fit for voice assistants. You can already use voice assistants on smartphones to make a call. It only makes sense to bring that same feature to smart speakers like Echo so you can use them like a speakerphone for the entire family. The sound quality is good and the microphones are as good or better than most commercial grade speakerphones. So, give it a try and see why Voicebot concluded that Amazon is bringing the phone back into the home and is extending its lead over voice assistant rivals.